. . . it is with . . . [Emmett Miller’s] Miami engagement of July 1926, that the phrase “yodeling blues” does indeed appear to be for the first time applied to a style, an inflection, of singing: the style and inflection of singing that Emmett Miller had given voice to since at least the earliest recorded evidence of it, in 1924, and, as fully developed as that earliest evidence is, almost certainly for some years predating that evidence. That style, that inflection—that wild rushing flight of swarming inflections—eludes and defies any other more accurate single word. And yet it cried for a name. For while powers need no names, nothing can be sold without a name. 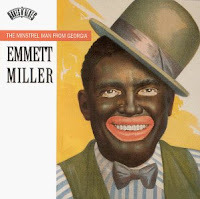 For those interested, footage of Emmett Miller performing in blackface has been posted on youtube.com; footage of Jimmie Rodgers performing “T For Texas” has also been posted on youtube.com as well. Nick Tosches, Where Dead Voices Gather. Little, Brown and Co., 2001. Charles Wolfe, Liner notes to Emmett Miller: The Minstrel Man From Georgia. Columbia/Legacy, 1996. Reissued 2001. 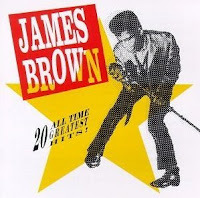 Previously, in my entries of May 16, May 31, July 1, July 22, August 18, September 8, and October 8, I have discussed at length my experiment of trying to listen to all the rock and R&B albums released in the calendar year 1968 in the order in which they were released. Please refer to these earlier blog entries for the explanation for such an unusual project (and all many pitfalls). Listed below is the December 1968 listening schedule, for anyone wishing to duplicate my experiment. I’ve reiterated many times that I cannot claim my list is infallible, but I continue to work to improve it. If you look back over the previous postings, you'll notice that I have continued to add to, and revise, them once I've received new or updated information. Here's the list I have assembled for December 1968, as well as a list of albums I refer to as "the remainder," those albums for which I could not determine a month of release. Hopefully that list will be diminished as I continue to work on this project. Algebra has its roots in the Middle East where sciences including mathematics and astronomy flourished in the Islamic world in the 700-1450 period. Muhammad al-Khwarizmi (780­-850) was one of the major mathematicians of his time and the author of a number of influential books. One of his major books is on arithmetic and another on algebra. In fact, it is his transmuted name ‘algorithm’ which we now use to refer to the step-by-step procedures for solving a problem. His algebra book is titled Kitab al-jabr wal-muqabala which translates to “the book of calculation by completion and reduction.” The Arabic word “al-jabr” is the origin of the word “algebra” which describes the process of moving terms from one side of an algebraic equation to the other to find the value of an unknown. . . . In algebraic equations, one solves equations to obtain the value(s) of one or more unknown(s). The word for “thing” or “object” (presumably unknown thing or object) in Arabic—which was the principal language of sciences during the Islamic civilization—is “shei” which was translated into Green as xei, and shortened to x, and is considered by some to be the reason for using x. It is also noteworthy that “xenos” is the Greek word for unknown, stranger, guest, or foreigner, and that might explain the reasons Europeans used the letter x to denote the “unknown” in algebraic equations. Xenos, of course, is the root of the word xenophobia: the fear of foreigners or strangers. Interestingly, as it happened, the call letters of all Mexican radio stations—also referred to as “border radio”—begin with an X. The first Mexican radio station, located in Reynosa, started broadcasting in 1930, with the call letters XED, possibly a pun on “crossed [Xed] out,” a reference to the marginalized and dispossessed. Only one major company uses X in its name—Xerox—and very few bands have used X in the group’s proper name—X-ray Spex (a play on "X-ray Specs," ads for which used to appear in comic books, pictured), the L. A. punk band X, and XTC come to mind—and very few albums and songs have used X in the title. One should perhaps remember that X is also an abbreviation for Christ, as in “Xmas,” and that once John Lennon named an album Shaved Fish, perhaps a play on ICTHUS, the Greek word for “fish”—ICTHUS being an acrostic referring to Jesus Christ, the Son of God. Boasting qualities that are superior to the most luxurious silk fabrics, Qiana gives all the appearance of silk. . . . It took 20 years and $75 million to develop (compared with $27 million for nylon). Thus it was no wonder that the security at Du Pont’s Chattanooga, Tenn., pilot plant took on Pentagon proportions. To the trade, it was known simply as “Fiber Y.” Even at the press preview, Du Pont took no chances of leaking the process before it hits the market at year’s end. Six models wearing Qiana garments were escorted by armed guards to prevent any overanxious competitor from the common practice of snipping a sample swatch. The versatile new fabric, which sells for about $5 to $8 per pound (versus $9.30 for silk), will be found initially only in women’s fine apparel, but eventually will be used in all types of clothing. For Du Pont . . . costly Qiana is not expected to mean an overnight boom. Indeed, clothing made of Qiana was not “an overnight boom,” just as the Time article predicted—it took a few years. But . . . when Qiana caught on, a few years later, it had become the disco fabric of choice. Qiana is to 1970s disco music what flannel is to grunge, what the tie-died cotton shirt is to Sixties psychedelic rock. In Saturday Night Fever (1977)—the film that is to the disco era what Woodstock is to the 1960s—whenever Tony Manero (John Travolta), a member of the vast working class of America used to the sweat that comes from hard labor, took to the discotheque dance floor, he wore a cool, light-weight, faux-silk Qiana shirt. Eventually, though, this synthetic fabric became an emblem of the tawdry artifice that many saw in disco music (a form of urban pop). Subsequently, as disco music fell from favor, so too did Qiana. Clothing made of Qiana, inexpensive but trendy, became the style of clothing that for many represented the plasticity (artifice) of disco music. Conversely, by the late 1980s—by which time Qiana shirts numbering in the scores could be found in Goodwill stores throughout the United States—flannel came to represent the putative working-class “authenticity” of grunge. Thus it happened that Du Pont’s Qiana gave way to L. L. Bean. An update on my post from yesterday titled “Yodel”: Bent Sørensen (find the link to his blog on the right) kindly shared the URL for a short blog entry he wrote a few weeks back on his Tumblr, Ordinary Finds, about Jimmie Rodgers, which in turn contains a link to an article titled “America’s Blue Yodel” on the possible black origins of Jimmie Rodgers’ “blue yodel.” The serendipity of our both posting on Jimmie Rodgers within a short period of time suggests another remarkable way in which our interests overlap; as usual I thank Bent very much for sharing this fascinating piece of information. 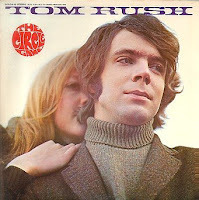 In my earlier entry I stated that an album ripe for discussion would be The Zombies’ Odessey & Oracle, and while I have no idea if the book proposal is for this album specifically, I strongly suspect it is. I would welcome a book on that album, and depending upon the particular album, the books on The Jam, Van Halen, and Jefferson Airplane interest me, while the other groups on the list only marginally so. On a different note, Mr. Barker posted a fascinating excerpt from the forthcoming 33 & 1/3 book by Bruce Eaton on Big Star’s Radio City, another installment in the 33 & 1/3 series that I look forward to reading (click on the above link to Mr. Barker's blog to read the excerpt). I have not yet submitted my book proposal to Mr. Barker, but I hope to do so by December 1, well before the deadline of December 31st. The last time such a call for proposals was posted, I think the proposals numbered around 400, with about 20 of those being accepted for publication. As I mentioned earlier, my proposal on Wall of Voodoo’s Call of the West was rejected, but I intend to submit another proposal this time as well. According to the OED, the English word “yodel” is derived from the German jodeln, meaning, “to sing or warble with interchange of the ordinary and falsetto voice, in the manner of Swiss and Tyrolese mountaineers.” But while strongly associated with these mountaineers, the yodel is a form of singing known throughout the world. According to Bart Plantenga, author of Yodel-Ay-Ee-Oooo: The Secret History of Yodeling Around the World, “the law of yodeling” is written in the epiglottis, an elastic band of cartilage located at the root of the tongue that folds over the glottis (trachea) in order to prevent food and liquid from entering the trachea during the act of swallowing (13). Initially a form of singing confined to the mountains of Kentucky—that is, a feature of “hillbilly” music—eventually the yodel helped to define “western,” as in “country western,” music. 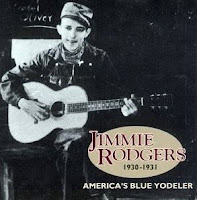 According to Michael Jarrett, it was Jimmie Rodgers’ “Yodeling Cowboy,” recorded on 22 October 1929, that designated the “shift in the connotations that would eventually redefine country music as mythically “western,” not “hillbilly” (182). 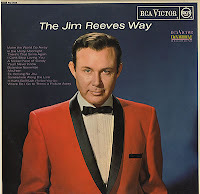 And while you practice your yodel, you might want to wear a Nudie suit while listening, first, to Jimmie Rodgers’ “Blue Yodel” series of recordings. A-DEE-oh-lay-EE-tee. The word ictus is derived from the Latin icere, to hit with a stroke, the stress placed upon an accentuated syllable. Etymologically speaking, therefore, ictus means accent or emphasis, and in the language of music, ictus means an accented or marked tone. In the study of prosody, dum, for instance, is a metrically strong syllable—the ictus. In contrast, de is a metrically weak syllable—the remiss. The ictus and the remiss together constitute the foot (dum-de), and hence the foot and the ictus make up the rhythmic elements of music. For music theorists, the moment prior to the initiation of the ictus represents the downbeat: the critical moment when the conductor lowers his baton. To understand fully the function of the ictus is to understand funk, with its accentuation of the downbeat (as opposed to R&B’s emphasis on the backbeat), meaning the One, the first (and occasionally third) beat of every measure (foot). George Clinton, Stevie Wonder, Sly Stone, and James Brown all contributed to the invention of the funk “groove”—that is, they all understood the function of the ictus. 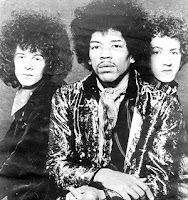 News reports indicate that Mitch Mitchell (at the right in the picture, with Hendrix and Noel Redding, left), the drummer for the Jimi Hendrix Experience, was found dead yesterday morning in his Oregon hotel room. He was 61 years old. Reports say Mitchell was found dead shortly after 3 a.m. Wednesday in his room at the Benson Hotel in downtown Portland. He apparently died of natural causes. The article reporting his death from the L. A. Times can be found here. Mitchell was the last the trio to live; they are all gone now. "T For Texas"/"He’ll Have to Go"
Faced with the competition of rock ‘n’ roll (or “rockabilly”), the country & western industry reinvented itself as a pop music industry, adapting pop music song structures and pop music production (studio engineering). 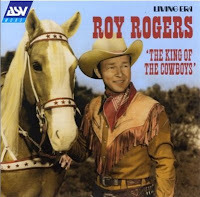 Hence early examples of rock musicians making country albums (e.g., The Byrds’ Sweetheart of the Rodeo, 1968) can be understood not so much as “country rock” but as attempts to recover a rawer, more “authentic” form of country & western music, one that hearkened back to a time prior to the invention of the "slick" Nashville sound. The tarantula is clearly the favored arachnid both in music and the movies. Not only does the tarantula have a movie named in its honor (the John Agar-starring Tarantula, 1955), but also a dance. According to the Dictionary of Dance, the tarantella is an Italian folk dance executed in accelerating 3/8 or 6/8 time that takes its name from the Italian seaport of Taranto where, legend has it, in the fourteenth century people who had been bitten by a tarantula contracted tarantism, a peculiar disorder characterized by an uncontrollable need to dance. The supposed cure for tarantism was to dance the tarantella, which was to be performed until the spider’s poison (not deadly, but quite painful) was sweated out of one’s system. There have been ballets based on the tarantella, including Coralli’s La Tarentule (1839), but Swan Lake contains an even more famous instance of the tarantella. Nino Rota drew on Italian folk music to compose a tarantella for The Godfather, while Mario Lanza performs “Tarantella” in For the First Time (1959), his last movie. A “juke” or “juke joint,” according to answers.com, is “a roadside or rural establishment offering liquor, dancing, and often gambling and prostitution.” “Jookin’” means to play dance music, especially in a juke. The word is derived from the Gullah word juke or jook, meaning “disorderly, wicked,” and is of West African origin; it is akin to the Wolof word dzug, “to live wickedly,” and the Bambara word dzugu, meaning “wicked.” While the multiselection, coin-operated phonograph was invented in the early twentieth century, this particular form of technology was not referred to as a “jukebox” until after the repeal of Prohibition in 1933. Afterwards, companies such as Seeburg, Rowe International (then known as Automated Musical Instruments, or AMI), and Wurlitzer were able to install thousands of these automated, random access machines in various establishments, not only in juke joints but in drugstores furnished with small dance floors. For various reasons, after World War II, teenagers were not as inclined to dance but stand and listen, and jukeboxes were relegated to bars and beauty parlors. In the 1950s, with the rise of the portable phonograph and the vast popularity of the 45-rpm record, teenagers were more inclined to dance at home or at private parties, and the Golden Age of the jukebox was over. Nowadays, these machines have been remotivated as found objects, and hence artworks, and are highly prized by collectors. What was junk to an earlier generation is art to the next, having undergone the transformation into a found object. William Bunch. Jukebox America: Down Back Streets and Blue Highways in Search of the Country's Greatest Jukebox. St. Martin's, 1994. Katrina Hazzard-Gordon. Jookin': The Rise of Social Dance Formations in African-American Culture. Temple University Press, 1992. Frank. W. Hoffman, The Cash Box Singles Charts, 1950-1981. Scarecrow, 1983. Vincent Lynch. Jukebox: The Golden Age. Lancaster-Miller, 1981. David W. Stowe, Swing Changes: Big-Band Jazz in New Deal America. Harvard University Press, 1994. Although typically defined as a type of guitar, the pedal steel guitar is actually an unusual instance of a stringed instrument becoming a keyboard instrument. The pedal steel is an electric guitar placed on a narrow table with legs, usually plucked with fingerpicks, with foot pedals and knee levers changing the pitch of the strings that are played with a steel bar. In America, the origin of the pedal steel guitar—perhaps the most recognizable instrument in country music—dates back to the Panama-Pacific International Exposition held in San Francisco in 1915, when Americans were introduced to the Hawaiian steel guitar and the way it was played, flat on the lap and fretted with a piece of metal or bone or the back of a comb. Within a few years, steel guitar music became a national craze, augmented by the phonograph record. By the late 1930s, the electric steel guitar, now with pedals and manufactured by Rickenbacher, Fender, and others, had become strongly associated with American country music, even though its origin was Hawaiian. Thus country music is, in fact, an eclectic form of world music. In 1953, Bud Isaacs and Webb Pierce recorded “Slowly,” revolutionizing the use of the pedal steel guitar in both country and popular music in America. In country music, the pedal steel is the musical equivalent of drunken self-pity, a form of self-indulgence in which one entertains the belief that one’s life is sadder and more difficult than everyone else’s—as the old adage says, suffering transforms the common man into a philosopher. Hence the pedal steel gives expression to inner emotional turmoil. 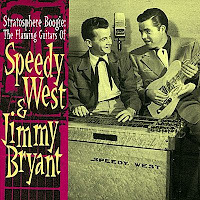 The 1950s recordings of Speedy West and Jimmy Bryant, collected on the highly prized CD Stratosphere Boogie: The Flaming Guitars of Speedy West & Jimmy Bryant (Razor & Tie), influenced countless pedal steel guitarists who followed, and prepared the way for the pedal steel to be employed in rock music—by The Byrds, The Rolling Stones, The Flying Burrito Brothers (check out “Christine’s Tune” here), and many other bands. 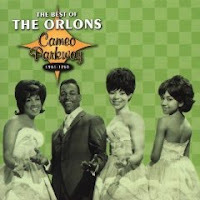 I only today learned that Jimmy Carl Black (pictured at the far left on the back cover of the Mothers’ album Freak Out!) the former drummer and sometime singer for Frank Zappa’s Mothers of Invention, died last Saturday, November 1, after a battle with cancer. He was 70 years old. 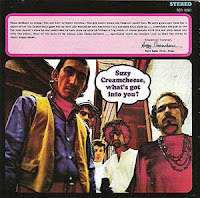 Like most anyone who’s seriously listened to the Mothers’ music, I remember Black primarily because of his amusing soundbite on the Mothers of Invention album We’re Only In It For the Money (1968), “Hi Boys and Girls, I’m Jimmy Carl Black, and I’m the Indian of the group.” (Black had Cheyenne Indian ancestry through both parents.) Black would later appear as one of the more interesting characters in Zappa’s largely uninteresting art-house movie 200 Motels (1971), singing “Lonesome Cowboy Burt.” After Frank Zappa disbanded the Mothers of Invention in 1969, Black formed a band named Geronimo Black that released an eponymously titled LP on MCA/Universal in 1972. I purchased a vinyl copy that year and have returned to it many times over the years, and while critically highly regarded, apparently the album did poorly in terms of sales. According to his obituary in the L. A. Times, after the failure of the Geronimo Black album, Black quit playing music, at one time “earning a living working in a doughnut shop” and later “as a house painter and decorator.” Some years later, in 1980, he joined ex-Mothers Bunk Gardner and Don Preston in The Grandmothers, a band that split and reunited many times over the next twenty years. For reasons I do not know, Black moved to Italy in 1992, and then to Germany in 1995. He appeared as a singer with The Muffin Men, a Liverpool band that specialized in the music of Zappa and Captain Beefheart. He is survived by his wife, Monika, whom he married in 1995 following the death of his second wife; three sons and three daughters. Jimmy Carl Black was a member of the Mothers of Invention in their most musically adventurous and hence interesting period, which is why I’m aware of him at all, and why I bought some of his later records. Later incarnations of the Mothers never captured my imagination the way the band did during the period from Freak Out! (1966) through Weasels Ripped My Flesh (1970). As a figure who loomed large in my early musical explorations while I was a teenager, I will always fondly remember Jimmy Carl Black. Additional information can be found on his website. Election Day: Whichever candidate you support, today America is on the verge of history, as this article from the L. A. Times online points out. I won't blog much today, as most eyes will be on election results--here and elsewhere in the world. So enjoy this historic day, everybody! The Brush Arbor meetings got their name from the crude structures under which these meetings took place. Brush arbors were roughed-in shelters made of upright poles driven into the ground over which long poles were laid across the top and tied together in lattice fashion to serve as support for a primitive roof of brush or hay that served to protect the worshippers [sic] and seekers from the elements. In many rural areas during those years, no formal church existed. Small congregations were often unable to afford a full-time pastor or shepherd for the believing flock in their little community. 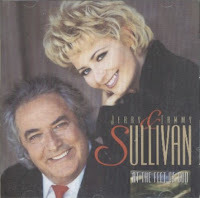 According to Jerry Sullivan (pictured, with Tammy Sullivan), the brush arbor style “is more like families sitting down with a guitar, maybe a mandolin, and playing. They followed the Carter Family sound a little bit. It’s a mixture between the country sound and bluegrass” (qtd. in Jarrett, p. 205). Michael Jarrett relates an anecdote that when Marty Stuart sent Bob Dylan a copy of Jerry and Tammy Sullivan’s brush arbor-inspired album, At the Feet of God (pictured, 1995), “he enclosed a note that read, ‘I hope you enjoy this backwoods, Southern, rock ‘n’ roll, gospel record’” (pp. 205-06). The fictitious group, The Soggy Bottom Boys, featured in the Coen Brothers’ O Brother, Where Art Thou? (2000), are an homage (of sorts) to the Stanley Brothers. Some of the “roots music” featured on that film’s soundtrack is inspired by the brush arbor style. David Barker, editor of Continuum’s “33 & 1/3” series of books on classic rock albums, announced yesterday on his blog that Continuum is now accepting proposals for future 33 & 1/3 books, to be published in 2010 and 2011. A significant change in this year’s submissions policy is that the “one book per band/artist” rule no longer exists. Therefore, the review board will consider proposals for books about any album that hasn’t already been covered in the series, or isn’t already under contract. For those interested, one can find a list of titles already published in the series here, which also lists those titles “Coming 2008” and “Titles Announced for 2008 and 2009.” Apparently the “Unknown Status” list consists of proposed titles that are no longer under contract (with the exception of the books about Kate Bush, Lucinda Williams, and the Clash). The deadline for submission of proposals this go-round is midnight, December 31st, 2008. I own roughly half the titles in the 33 & 1/3 series, primarily those on albums that strongly interest me. It is a splendid concept for a series, of course, and while I think the series appears to have at this point given up too quickly on classic albums, that may change now that the “one book per band/artist” rule is no longer in effect, opening up proposals for other Beatles albums, for instance, or different albums by Bob Dylan, Neil Young, The Rolling Stones, and others. 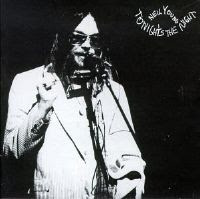 I for one would sure like to see a book on Neil Young’s Tonight’s the Night (1975), as well as a book on the Brian Jones era of The Rolling Stones—Aftermath, for instance (hint, hint). And no book on Elvis Presley in a series on rock albums? That's shameful. Someone should write up a proposal on From Elvis in Memphis (1969), one of the great albums of all time. Good luck to everyone submitting this time! Wish me luck as well. 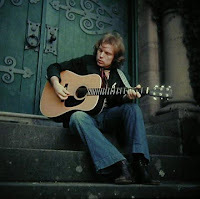 Last month I posted a blog on Van Morrison’s upcoming shows at the Hollywood Bowl—happening at the end of this week, Friday and Saturday, November 7 and 8—during which he will perform live his masterpiece Astral Weeks (1968). In conjunction with his upcoming performances, the L. A. Times posted both an article and a rare interview with Van the Man that anyone even remotely interested in his music must read: he discusses his life, his career, his music, poetry, and art all with remarkable candor. I am very disappointed that I cannot attend his concerts at the Hollywood Bowl, although information in the Times article as well as his website indicates that the concerts will be recorded and released on both vinyl and CD by the end of the year. When the actual dates are announced I will post them here.